Families that Fly Together: Thanks Dad! 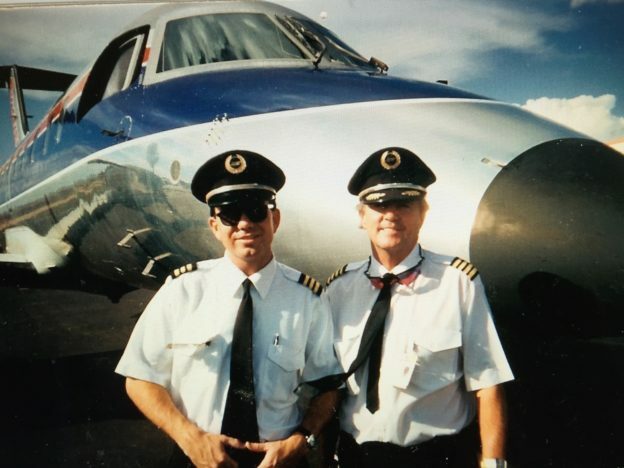 For brothers Robert and Cory Rice, SkyWest is quite literally part of the family. Inspired to become pilots by their father, retired SkyWest Captain Brent Rice, Robert and Cory told us about how aviation, and SkyWest, runs in their blood. Cory remembers early on his dad would talk about how great SkyWest and the lifestyle was. And by all, he means all four of the Rice siblings! 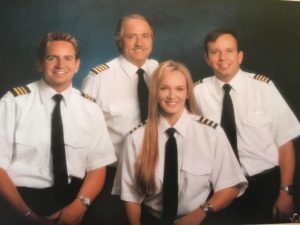 Their little sister also flew for SkyWest and their oldest brother also received his pilots’ licenses, and the siblings had the rare chance to train together and fly together over the years. At least one Captain Rice has flown at SkyWest over the past 31 years, and they’ve seen plenty of changes to the airline and the industry. Still, some things haven’t changed at all. Families that Fly Together, SkyWest Family, SkyWest People, Thanks Dad!